Rotate PDF documents with Movavi PDF Editor! This secure, easy-to-use tool allows you to rotate entire PDF documents or individual pages within a PDF document. Sometimes you need to rotate a page or image in a PDF document, for example, when you take a vertical photo with your camera, and the photo is displayed in a horizontal orientation. Or you scan a landscape-oriented spreadsheet and it appears in portrait orientation. 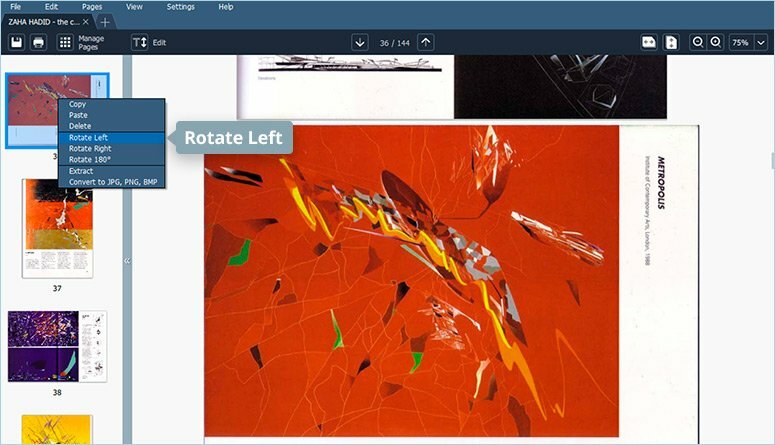 If you are looking for a way to rotate images or pages in PDF files, use Movavi PDF Editor. Movavi PDF Editor is a safe alternative to rotating a PDF online. 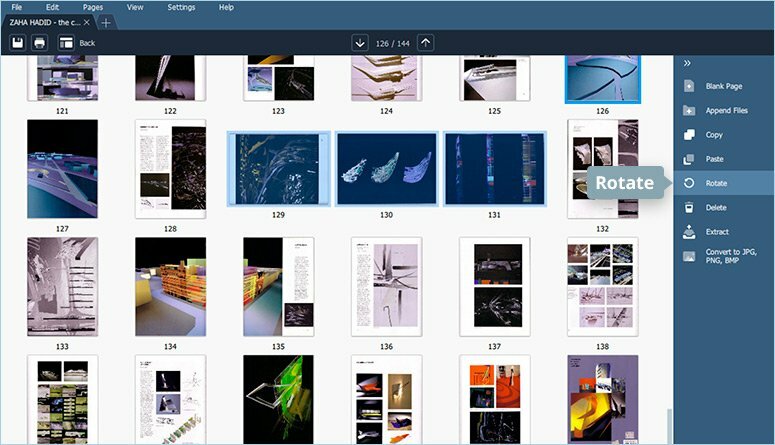 This fast and easy tool lets you rotate images or PDF files with no risk of piracy or unauthorized copying, access, use, or distribution of your personal data. Get Movavi PDF Editor and execute your PDF rotation option in a couple of clicks. If you want to rotate just one page in a PDF file, you can do this directly in the Preview panel. Download the distribution file. Double-click on the downloaded file and follow the instructions to install it. Start the program, click Open File, and choose the file containing the page you want to process. Alternatively, you can drag and drop the file into the area indicated. 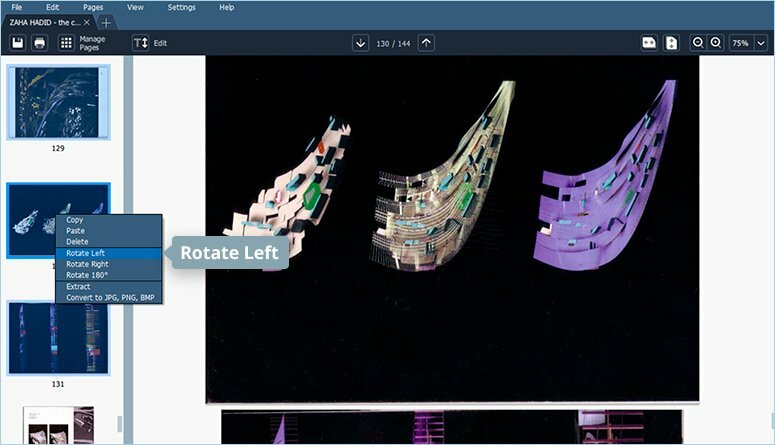 If you need to rotate a single page or image, click on it with the right mouse button and select Rotate Left or Rotate Right from the context menu. The page or image will be rotated through 90 degrees to the left or to the right. If you want to turn the page or image upside down, select Rotate 180°. To save the edited file as a new file on your computer, click File on the menu bar and select Save As. If you want to save the edits in the source file, click File on the menu bar and select Save. You can also turn several PDF pages to a different angle at once. 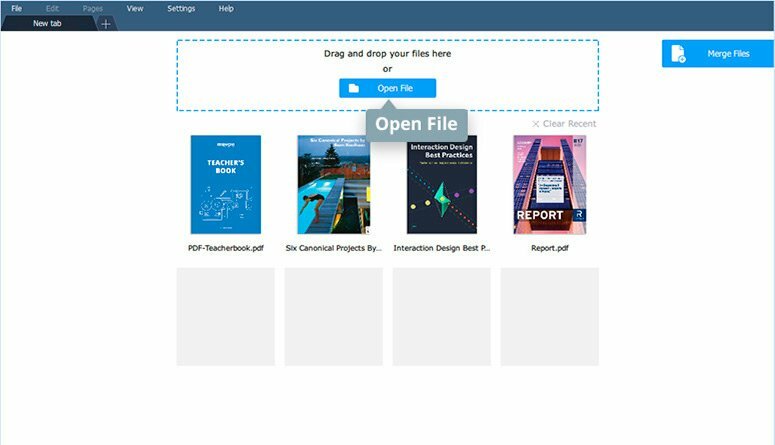 Launch the program and add the file you need to edit using the Open File button. If the pages appear consecutively, press and hold the Shift key (Cmd key if you’re using a Mac) and select them by clicking on the first and the last one. If the pages aren’t consecutive, press and hold the Ctrl key and select the appropriate pages by clicking on each one. The selected pages will be highlighted in blue. Click on them with the right mouse button and select the appropriate rotation option. You can also turn a PDF page to a different angle using the Manage Pages mode. 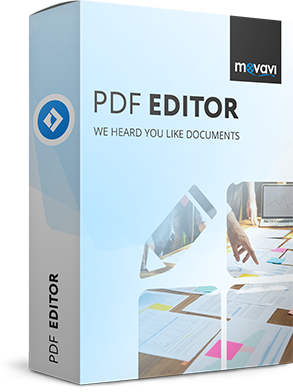 First, download and install Movavi PDF Editor from the official website. Launch the program on your computer. To open a PDF file for editing, hit the Open File button at the top of the window. Once the file is open, go to the Manage Pages mode. To specify a range of pages for rotation, use the keyboard shortcuts as described below. To save files, use the Save or Save As commands on the File menu. That’s all there is to it! 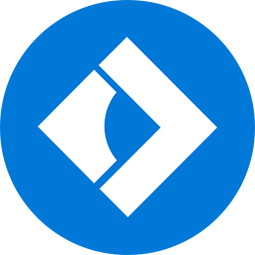 Rotating PDFs is easy and safe with Movavi PDF Editor. The software is available for both Mac OS X and Windows operating systems.